IBSAT is an online aptitude test conducted by The ICFAI Foundation For Higher Education for students seeking admission to the MBA programs of IBS Hyderabad which will be conducted in December 2019. How to compete in SNAP? How to Succeed in NMAT by GMAC 2019 Exam? IBSAT Exam - How to Prepare for IBSAT 2018 ? What makes ICFAI Business School Interesting to be part of ? How to write statement of purpose for MBA? XAT 2019: How to solve Data Interpretation? XAT 2019: Are you ready to compete? CMAT Exam 2019 : How to solve Quantitative Techniques? How will you be judged in XAT Essay? Why should you appear in MAT Feb 2019? You Get Lazy, You Get Sad. Start Givin' Up. Plain And Simple. Are you ready for exam? 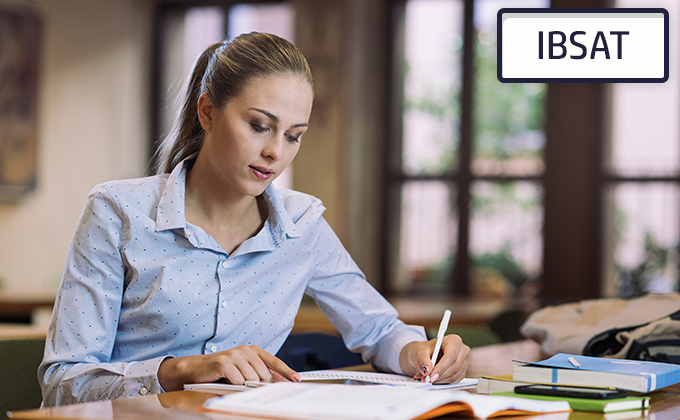 XAT 2019 :Are you ready for writing Essay in 20 minutes? How to ace GK section in IIFT? XAT 2019 Declared. Are you ready?